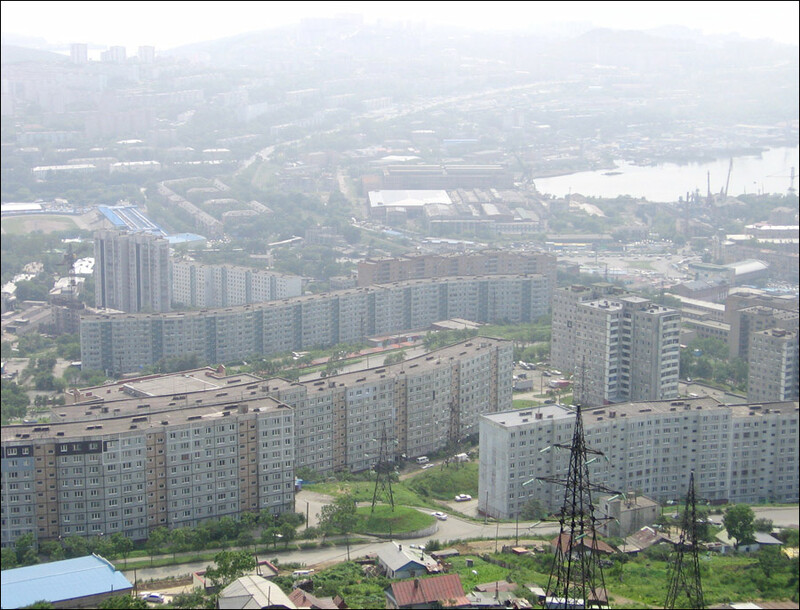 The capital city of Primorye krai. Vladivostok is a city and seaport located on the Far East of Russia, the capital of Primorye krai and the Far Eastern Federal District, the last station of Trans-Siberian railway. 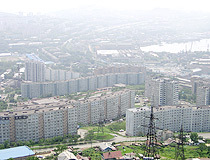 The population of Vladivostok is about 606,500 (2015), the area - 331 sq. km. The phone code - +7 423, the postal codes - 690000-690950. 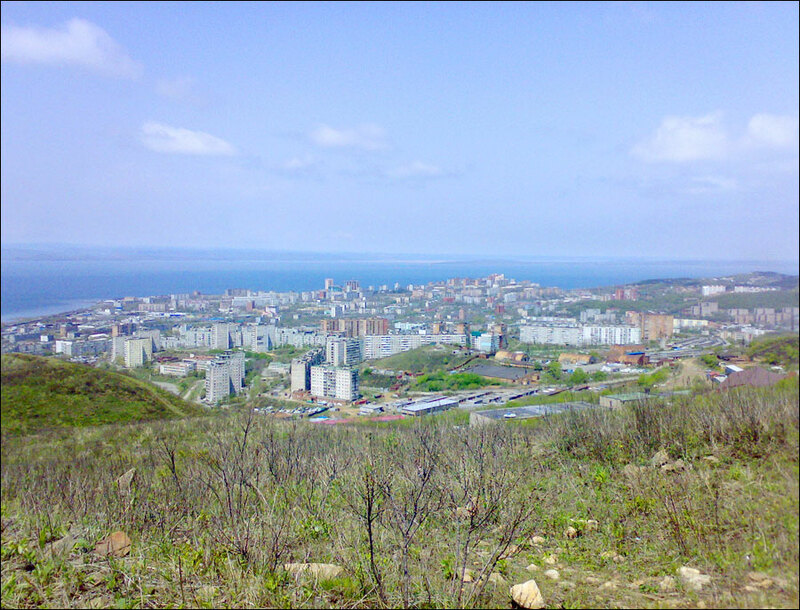 Local time in Vladivostok city is April 19, 12:23 am (+10 UTC). 20 September, 2017 / Vladivostok - the view from above. 22 July, 2016 / Vladivostok Shrouded in Dense Summer Fog. 24 March, 2014 / The Bridge to the Russky Island in Vladivostok. 13 June, 2013 / Unique view from the pylon of the Russky Bridge. 8 September, 2012 / The 24th APEC summit, the meeting place of world leaders and businessmen, is being held in Vladivostok. It the most expensive APEC summit in history. The new complex of the Far Eastern Federal University on the Russky Island cost about USD 2.2 billion, cable-stayed bridge on the Russky Island - USD 1 billion, bridge over Zolotoy Rog Bay - USD 620 million. 1 September, 2012 / Total cost of preparing for the APEC summit in Vladivostok is comparable to the cost of the Olympic Games in London. In preparation for the event Russia spent more than $ 16 billion. 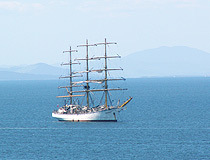 The summit will be held in Vladivostok from 2 to 9 September. Was it the best way to spend the money? Rhetorical question. For a long time, the Russian government sought a foothold in the Far East; this role was performed by Okhotsk, Ayan, Petropavlovsk-Kamchatsky, Nikolaevsk-on-Amur. By the middle of the 19th century, outpost searching deadlocked. Neither of the ports met the necessary requirements - to have a protected harbor next to the trade routes. In 1859, Nikolai Nikolayevich Muraviev-Amursky, the governor-general of Eastern Siberia, drew special attention to a well-hidden bay while sailing on a ship in the Peter the Great Gulf (the largest gulf of the Sea of Japan). It reminded him Zolotoy Rog (Golden Horn) Bay in Konstantinopol and the governor-general suggested to call it the same way and to found a military post on the shores of the bay. 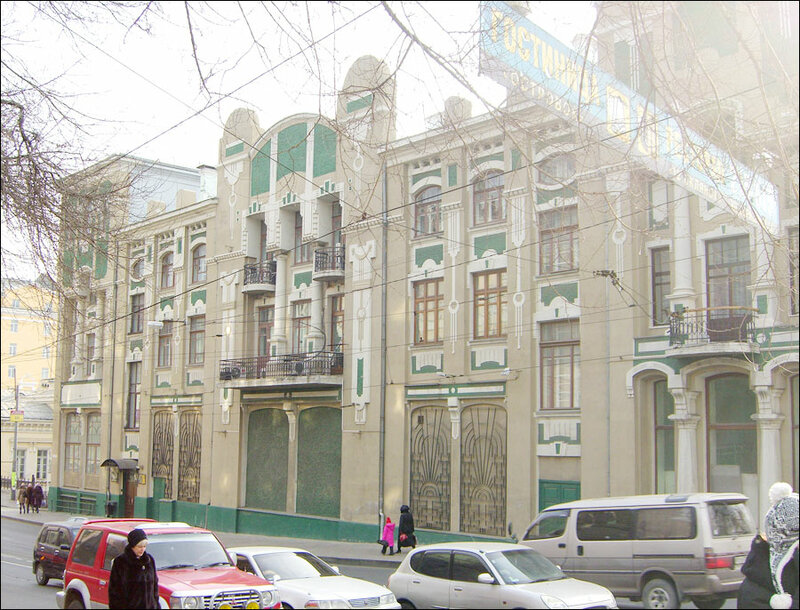 The post, founded in 1860, was named Vladivostok (“holder of the East”). In 1862, the military post turned into a seaport and, in order to increase the volume of foreign trade, Vladivostok became a free port. In 1871, the main base of the Siberian military fleet, other naval institutions as well as the residence of the governor-general moved to Vladivostok from Nikolayevsk-on-Amur. In the same year, an underwater telegraph cable connected Vladivostok with Shanhai and Nagasaki. 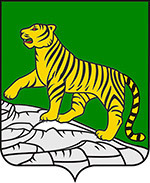 In 1883, Alexander III, the Emperor of Russia, approved the first coat of arms of the town. 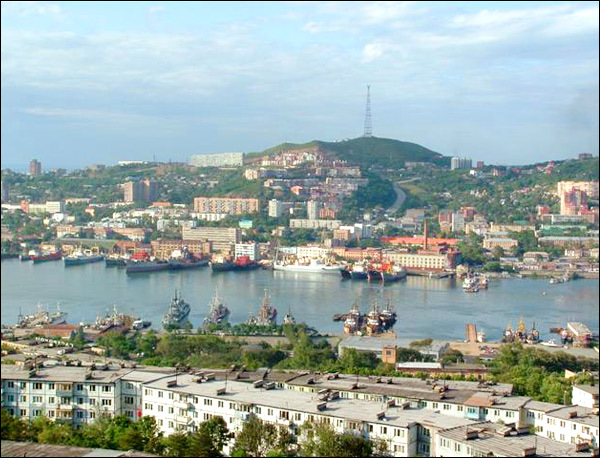 In 1888, Vladivostok became the capital of the Primorsky region. In the 1890s, the town gradually became the place where the Russian culture in the Far East was concentrated. 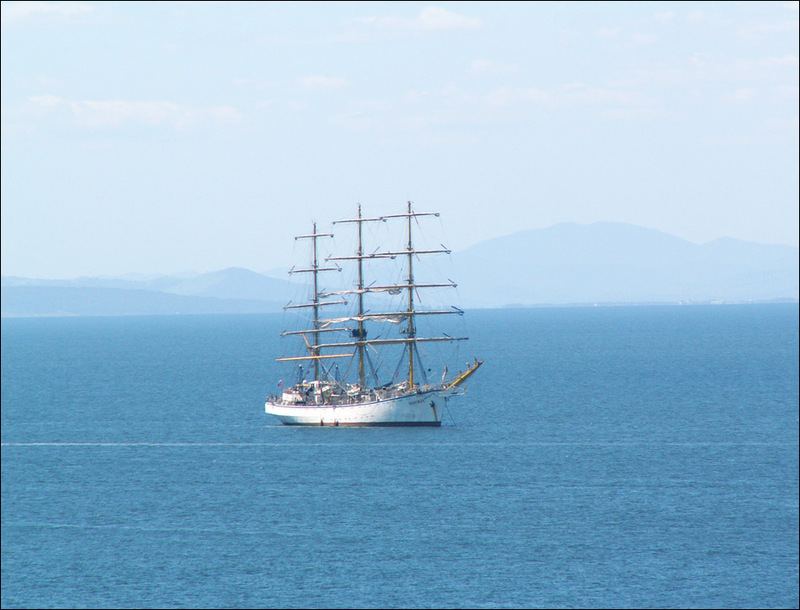 Also Vladivostok was a base for expeditions of such Russian explorers and scientists as N.M. Pzhevalsky, S.O. Makarov, V.K. Arsenyev, V.L. 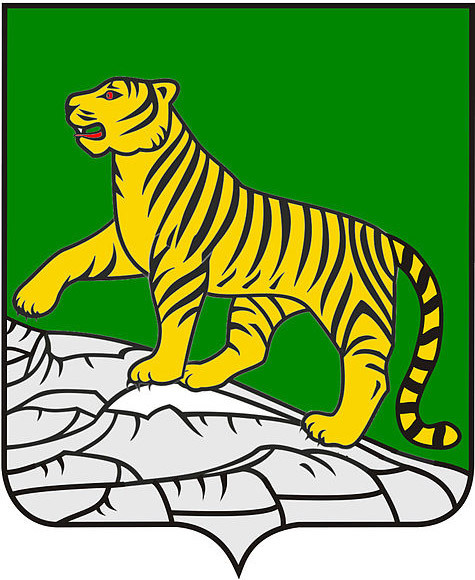 Komarov. In 1903, Trans-Siberian railway connected Vladivostok with Moscow. 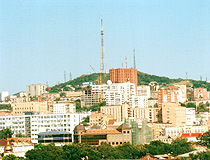 In 1938, Vladivostok became the capital of Primorsky krai (territory). 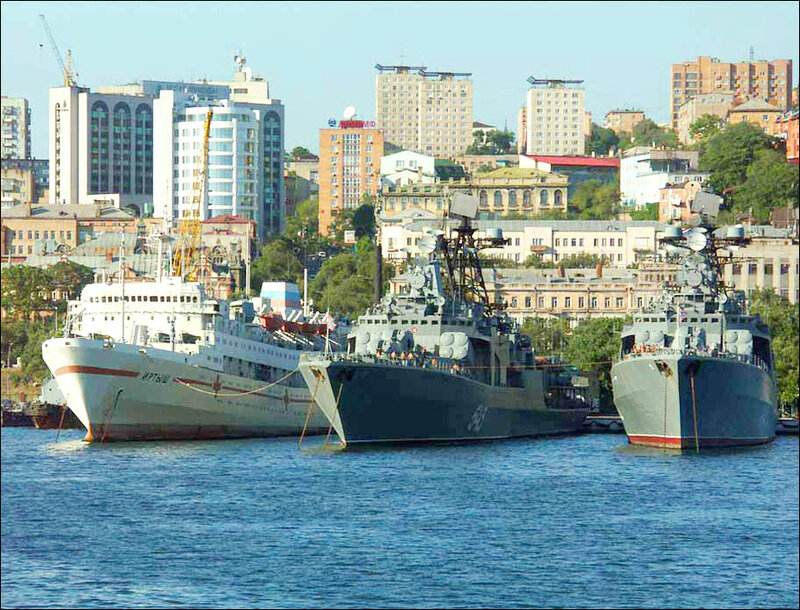 In 1958, the city became the main naval base of the Soviet Pacific Fleet and received the status of “closed city”. For more than three decades foreigners could not visit it. In 1991, Boris Yeltsin, the first President of Russia, signed a decree by which Vladivostok ceased to be a closed city from January 1, 1992. With the collapse of the USSR, the local industry declined, the standard of living of the population declined too, the birth rate fell and people began migrating to the central regions of Russia. However Vladivostok retained the status of an important transport, industrial, commercial, and financial center. At the beginning of the 21st century, there has been improvement in the social and economic situation. In September 2012, the Asia-Pacific Economic Cooperation (APEC) summit was held in this city. It had a positive impact on the development of the city. December 13, 2018, Vladivostok became the administrative center of the Far Eastern Federal District. Vladivostok is located on the shore of the Sea of Japan, on the Muraviev-Amursky Peninsula and islands in Peter the Great Bay. It is an important transport, industrial, trade, and financial center of Russia. The city is the main naval base of the Russian Pacific Fleet. This city is also the largest scientific and educational center of the Far East region that includes Far Eastern Federal University and the Far Eastern Branch of Russian Academy of Sciences. 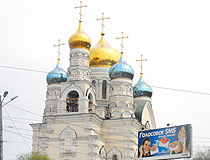 City Day is celebrated in the beginning of July. 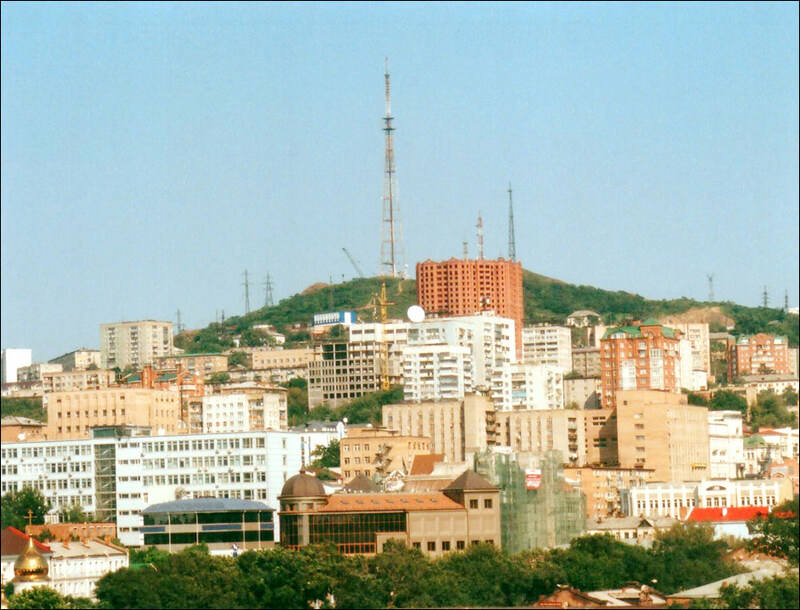 The name “Vladivostok” is similar to the name of the city of Vladikavkaz. It is derived from the Russian words meaning “to hold” and “east”. The original English name of Zolotoy Rog Bay was Port May. 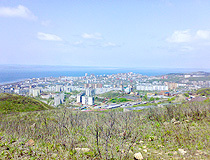 The climate of Vladivostok is of monsoon type. Winters are dry and cold; springs are long and cool; summers are warm and humid; autumns are warm and dry. The average temperature in January is minus 11.7 degrees Celsius, in July - plus 18 degrees Celsius. Vladivostok International Airport is located about 44 km to the north of the city. The federal highway A 370 “Ussuri” connects the city with Khabarovsk, the road A188 - with Nakhodka. In 1983, Ilya Lagutenko formed a known Soviet and Russian rock group “Mumiy Troll” in Vladivostok. Vladivostok industrial machinery is mainly represented by shipbuilding and ship repair as well as production of equipment for fishing. 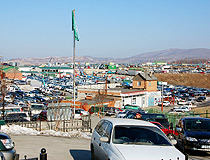 The city is a base of fishing and refrigerator fleets. The city has an intermediate position between Trans-Siberian railway and seaways in the Pacific Ocean. This makes it an important cargo and passenger port. Fish and sea food, timber, ferrous and non-ferrous metals are the main exported goods. Food, medicines, clothes, shoes, household techniques, ships are the main imported goods. 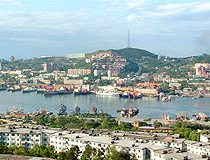 Vladivostok is an important intermediate city for goods imported from Japan, South Korea and China. 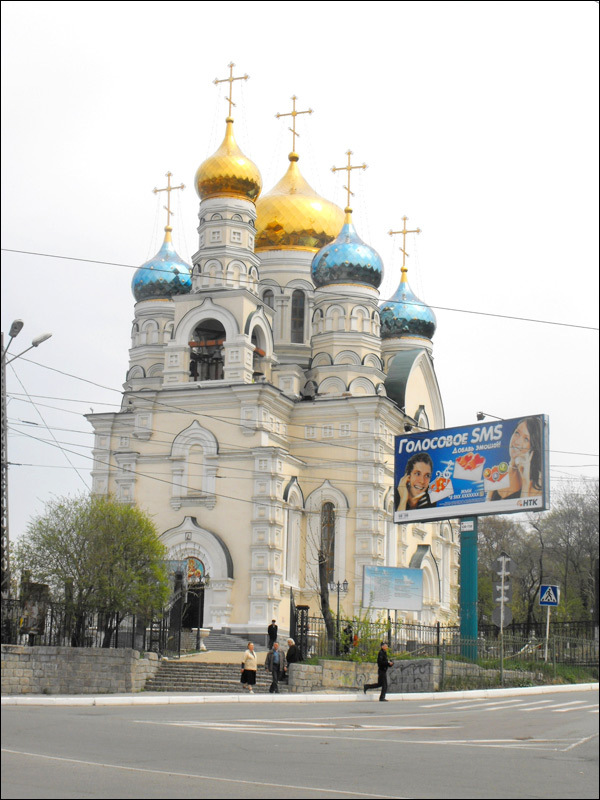 There are more than 600 historical monuments in Vladivostok. The historic center reflects the charm of old times. There are many buildings that were constructed in the 19th century. Various architectural styles reflect both Western and Eastern cultures. The Zolotoy Bridge (a bridge over Zolotoy Rog Bay) and the Russky Bridge (a bridge to Russky Island), built in preparation for the APEC summit 2012, are among the main new attractions of the city. Art gallery “Versailles” (Svetlanskaya Street, 10). Cableway to the observation platform on Orlinoye gnezdo (Eagle’s Nest) hill - the highest point in the city, offering a beautiful and unique view of Vladivostok. Nick asks: If I visit the Krasny Vympel in Vladivostok, how much ruble would that cost? The cost of visiting this museum-ship is 50 rubles (less than 1 USD). Shura asks: How well can one live in Vladivostok on 11,000 Rubles per month? How well on 54,000 Rubles per month? 11,000 Rubles per month is not enough to live in Vladivostok. In 2017, the average salary in the city was about 50,000 Rubles per month. So 54,000 Rubles is a decent salary there. 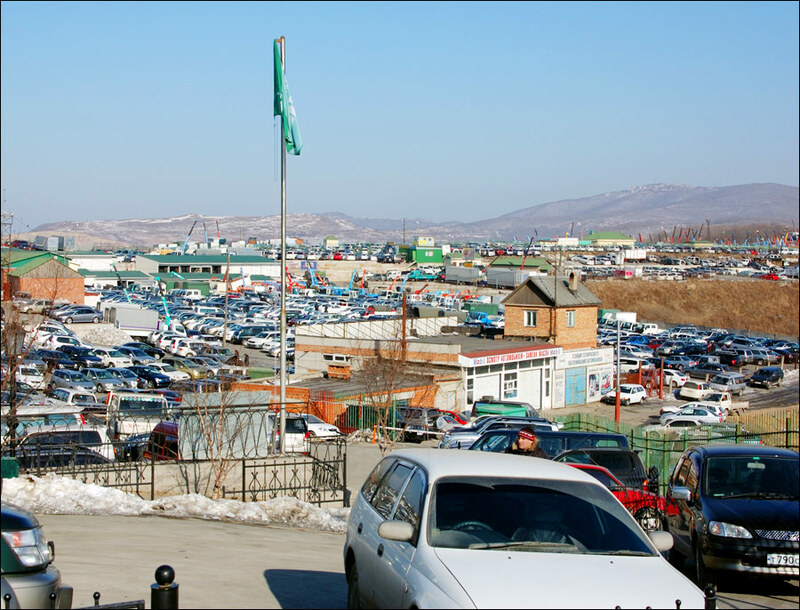 AKASH MAGADUM asks: What is the driving distance between Vladivostok and Khabarovsk? And between Vladivostok and Birobidzhan? The distance between Vladivostok and Khabarovsk by roads is about 760 km, between Vladivostok and Birobidzhan - about 946 km.